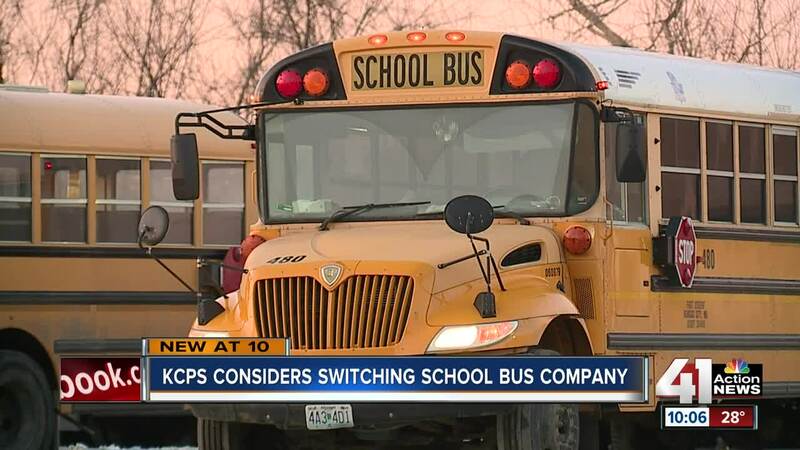 The company in charge of taking your child to school could soon change. KANSAS CITY, Mo. — The company in charge of taking your child to school could soon change. The KCPS Board of Directors will vote on a contract with a new company, Student Transportation of America, or STA. "This is the prime time to start making those decisions so you're fully prepared for the next school year," said Melissa Robinson, who serves as the board's chair. After requesting bids for both transportation services and management, the district staff recommended a five-year deal with STA for transportation services only that totals nearly $71 million. The current vendor, First Student, came in with a bid of roughly $69 million for the same services. Why the administration recommended the higher price tag remains to be seen. "Obviously, we'll dig into it and ask those questions and make sure we're fully aware of what's happening," Robinson said of the price tag. Meanwhile, First Student, which has worked with the district for 10 years, is calling foul play on the procurement process. "Based on conversations I've had with the CFO, it does not appear to be a fair process," said John Billigmeier, Region VP for First Student. The company alleges the district gave unfair access to STA by allowing them to further discuss their bid after the deadline had passed. STA only submitted a bid for transportation services, not management. However, in an email to Billigmeier, the district's CFO wrote STA "included adequate staff in their proposal for bus services to cover management. As we read and talked with them, it became clear that they had staffed up for bussing alone at a high enough level to cause us not to need separate management services." First Student argues it was not given the same opportunity to have such a conversation with staff, and that is why the company filed a grievance with the district. "While First Student submitted the lowest bid, STA was determined to have submitted the lowest and best bid for transportation services. STA did not bid on the management services, KCPS did not allow STA to change or modify its bid to include the management services, and STA was not awarded the management services." In that letter, the chief counsel mentioned STA's transportation services would be paired with a KCPS Director of Transportation, who would handle management. "Since Superintendent Mark Bedell arrived at KCPS in 2016, he has constantly tried to improve the transportation process for students and families. As both the leader of KCPS and a parent of three KCPS students who often ride busses to their schools. Dr. Bedell is strongly committed to this transportation improvement process. His personal and professional concerns led Dr. Bedell to look into all options as the time approached to select a transportation vendor for KCPS. His leadership team will present their findings before the Board of Directors, and stakeholders will be given an opportunity to provide feedback." Initially the school board planned to vote on the STA contract on Wednesday, but the vote has been pushed back to February 27 to allow for public comment. "This is taxpayer funds, and we have to be transparent," Robinson said.